Shakespeare's Othello - a tragedy of racism, love, jealousy and betrayal - has inspired numerous operas, ballets, films and literary adaptations. 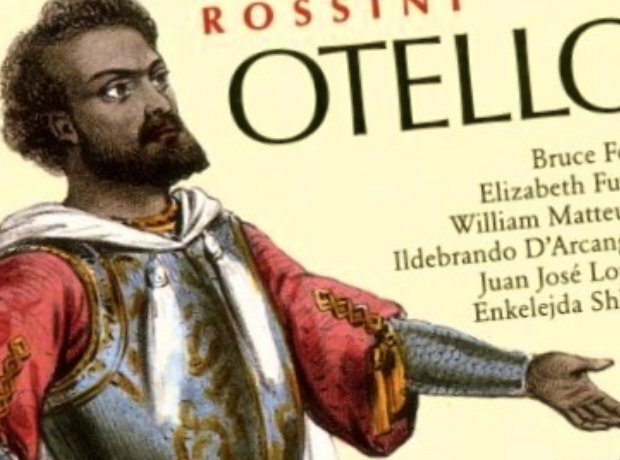 Rossini’s rarely performed three act opera of Otello, was first performed in Naples on 4 December 1816. Rossini deviates from Shakespeare's original in a few places – it is set in Venice rather than Cyprus, Iago is not so much of a monster, and it has a happy ending. Verdi and his librettist Boito turned to Shakespeare for Verdi's penultimate opera, considered by many to be his greatest. Their boldest gesture was to cut Act One of the play. Italian operatic tenor Mario del Monaco, pictured, made Otello his trademark role. The legendary mezzo-soprano Maria Malibran sang Desdemona in Verdi's Otello. 'Ah! That wonderful creature!' Verdi said of her, '...she outshone all other women I have known.' She was so talented, it appears, that she could sing the roles of both Desdemona and of Otello. Bandanna, an English language opera with words by Irish poet Paul Muldoon and music by Daron Hagen, is set in 1968 on the United States–Mexican border. It borrows elements from both Shakespeare's play and Verdi's opera, Otello. In 1949, Mexican choreographer José Limón created a 20-minute, four character ballet called The Moor's Pavane to the music of Henry Purcell. It has become standard repertoire for dance companies around the world and notable interpreters of the lead role included Rudolf Nureyev. In 2002, modern dance choreographer Lar Lubovitch created a full-length ballet in three acts based on Shakespeare’s play with a score by film music composer, Elliot Goldenthal. Trevor Nunn's 1989 version of Shakespeare’s play, filmed at Stratford-upon-Avon, unusually cast opera singer Willard White in the title role, opposite Ian McKellen as Iago. Dvořák's Othello is the final part of a triptych of overtures. The composer sketched out a scenario on the score which begins with Othello and Desdemona embracing, depicts him murdering her and then killing himself. Cheery stuff.